Mary Baker Eddy, the Discoverer and Founder of Christian Science, established both a worldwide church dedicated to healing and saving mankind, as well as a variety of resources and periodicals that support individual spiritual growth and bless the world. The ability of these periodicals to bring clarity to thought and truth to action makes them essential aids in one's prayer and daily life. Please consider welcoming them into your home. We hope you will find them to be just the right tools to expand your study of the Science that Christ Jesus lived, and to strengthen your work as a healer. 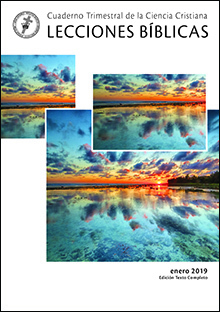 JSH-Online is the official website of The Christian Science Journal, Christian Science Sentinel, and The Herald of Christian Science. 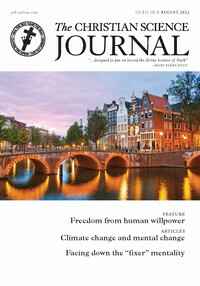 JSH-Online is a monthly subscription website providing an online portal to everything currently published in print and audio by the Journal, the Sentinel, and the 14 language editions of the Herald, and includes a full-text searchable archive of everything published in print from 1883 to today, and audio content from 1987 to today. The Christian Science Sentinel was founded in 1898 by Mary Baker Eddy, and its mission remains the same: “to hold guard over Truth, Life, and Love” (The First Church of Christ, Scientist, and Miscellany, p. 353). 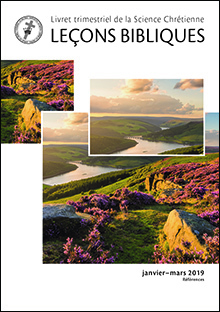 The Sentinel continues to report on the unlimited ways that the healing power and presence of the Christ activates, uplifts, and transforms the lives of people around the world. 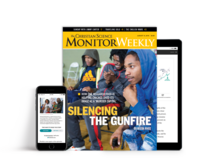 In founding The Christian Science Monitor 110 years ago, Mary Baker Eddy did not really just start a newspaper. She shared the ability to seek the credible good in action all around us. We don’t see this struggle reflected in much news today, because traditional news too often focuses on the sensational. At the same time, saccharine “good news” falls flat. With the Monitor, you can see the world through the lens of the struggle for good everywhere. You now can subscribe to all Monitor journalism, from global news to culture, for a low monthly or annual rate. Study the Lesson virtually anywhere, anytime, and anyplace you like using eBibleLesson. A monthly subscription gives you access to mobile, audio, and print-friendly editions that allow you to read, enlarge text, print, and listen to the Bible Lesson. Bible notes, word definitions, study questions, photos, testimonies, and cartoons—you’ll find all these and more along with the complete Lesson text in myBibleLesson, a PDF that both kids and adults use and enjoy. Print it in full color or black-and-white, or download and read on your computer, tablet, or eReader. myBibleLesson is a great way to explore the weekly Lesson, learn more about the Bible, and have fun at the same time. 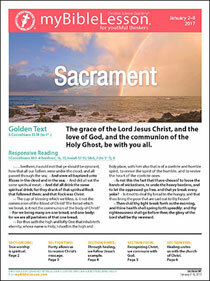 Many Sunday School teachers find that its features enhance their classes week after week. 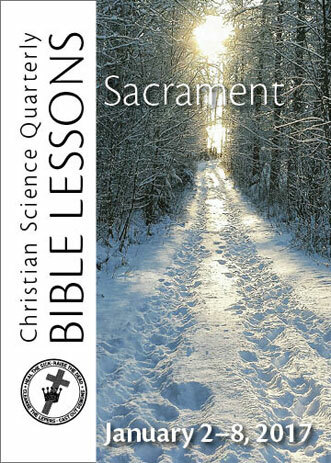 The standard edition of the Christian Science Quarterly, the Citation Edition includes the Golden Text, Responsive Reading, and citations from the Bible and Science and Health with Key to the Scriptures for all of the Bible Lessons for a quarter of the year (three months). 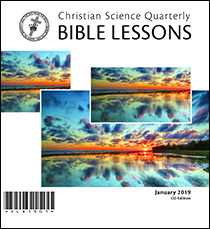 The printed Full-Text Edition contains the complete text of each week’s Bible Lesson from the Christian Science Quarterly, including the Golden Text, Responsive Reading, and complete citations from the Bible and Science and Health. 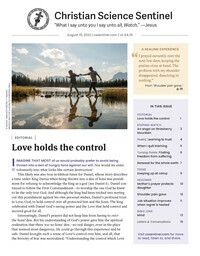 Each issue includes a full month of Bible Lessons. Sometimes it’s more convenient to listen to the Bible Lesson than to read it. And hearing the Lesson read aloud can offer a new perspective, open up new insights, and provide spiritual refreshment in a busy day. Each section of the Lesson is a separate track, making it easy to start, stop, and pick up where you left off. Join the Concord family today! Using Concord, you can study the Bible, Science and Health with Key to the Scriptures, and other published writings by Mary Baker Eddy; listen to the 2017 Christian Science Hymnal; look up search terms; create lists of citations for easy reference; develop readings; and much more. This new version of Concord, launched on October 1, 2018, is compatible with smartphones, tablets, and laptop/desktop computers. The program was developed based on customer feedback and is regularly updated to incorporate new feedback into the user experience. You are invited to try Concord free of charge for the first 30 days. Click here to start your 30-day free trial now! At the end of the trial period, you will be invited to subscribe at a monthly or annual rate ($6/month or $66/year). Special pricing for students and previous Concord customers is also available. Visit concord.christianscience.com to learn more about new Concord and to register for your free 30-day trial. 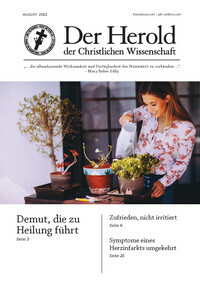 Der Herold der Christlichen Wissenschaft ist eine offizielle Publikation der Ersten Kirche Christi, Wissenschaftler, in Boston, USA. Ihr Zweck besteht darin, „die allumfassende Wirksamkeit und Verfügbarkeit der Wahrheit zu verkünden“ (Erste Kirche Christi, Wissenschaftler, und Verschiedenes, S. 353). Mary Baker Eddy, die den Herold im Jahr 1903 gegründet hat, ist außerdem Entdeckerin und Gründerin der Christlichen Wissenschaft und Autorin von Wissenschaft und Gesundheit mit Schlüssel zur Heiligen Schrift, das die vollständige Darlegung der Christlichen Wissenschaft enthält. Die Zitatausgabe des Vierteljahreshefts der Christlichen Wissenschaft enthält den Goldenen Text, das Wechselseitige Lesen und die Stellenangaben aus der NeueLuther Bibel und Wissenschaft und Gesundheit (2012) für alle Bibellektionen eines Vierteljahres (drei Monate). 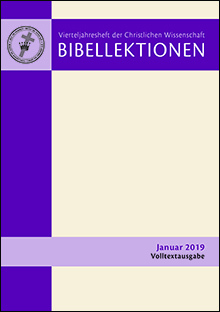 Die deutsche Volltextausgabe enthält den vollständigen Text der jeweiligen Wochenlektion aus dem Vierteljahresheft der Christlichen Wissenschaft mit dem Goldenen Text, dem Wechselseitigen Lesen und allen Zitaten aus der Bibel und Wissenschaft und Gesundheit. Es kann von großem Vorteil sein, die Bibellektion direkt aus den Büchern zu lesen, doch die Möglichkeit, die ganze Lektion in diesem kompakten, mitnehmbaren Format verfügbar zu haben, ist außerordentlich praktisch, wenn man am Ort oder auf Reisen unterwegs ist. El Heraldo de la Ciencia Cristiana es una publicación oficial de La Primera Iglesia de Cristo, Científico, en Boston, Estados Unidos de América. Su propósito es “proclamar la actividad y disponibilidad universales de la Verdad” (La Primera Iglesia de Cristo, Científico, y Miscelánea, pág. 353). Mary Baker Eddy, quien estableció El Heraldo en 1903, es también la Descubridora y Fundadora de la Ciencia Cristiana y la autora de Ciencia y Salud con la Llave de las Escrituras, libro que contiene la declaración completa de la Ciencia Cristiana. 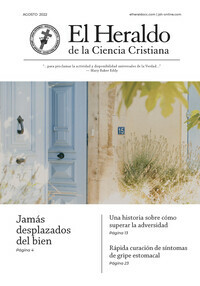 La Edición de citas del Cuaderno Trimestral de la Ciencia Cristiana incluye el Texto áureo, la Lectura alternada y citas de la Biblia Reina-Valera 1960 y de Ciencia y Salud, en todas las Lecciones Bíblicas que corresponden a un trimestre del año (tres meses). La Edición Texto Completo en español contiene el texto completo de la Lección Bíblica de cada semana del Cuaderno Trimestral de la Ciencia Cristiana, incluso el Texto áureo, la Lectura alternada y todas las citas de la Biblia Reina-Valera 1960 y Ciencia y Salud. 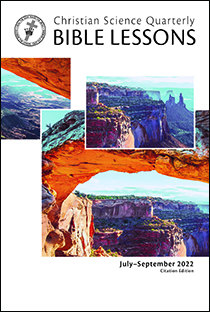 Si bien leer la Lección Bíblica directamente de los libros es algo invaluable, tener la lección completa disponible en este formato compacto y fácil de llevar es muy conveniente cuando uno tiene que viajar, ya sea al otro lado de la ciudad o por todo el mundo. 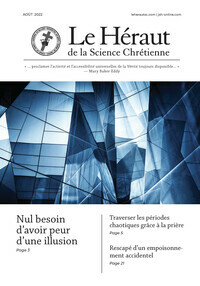 Le Héraut de la Science Chrétienne est une publication de La Première Eglise du Christ, Scientiste, à Boston, U.S.A. Son objet est de « proclamer l’activité et l’accessibilité universelles de la Vérité toujours disponible » (La Première Eglise du Christ, Scientiste et Miscellanées, p. 353). Mary Baker Eddy, qui a créé le Héraut en 1903, est aussi la Découvreuse et Fondatrice de la Science Chrétienne et l’auteur de Science et Santé avec la Clef des Ecritures, le livre qui contient l’exposé complet de la Science Chrétienne. Le Livret trimestriel de la Science Chrétienne comprend le Texte d’or, la lecture alternée et les références des citations prises dans la Bible et Science et Santé pour toutes les leçons d’un trimestre. O Arauto da Ciência Cristã é uma publicação oficial dA Primeira Igreja de Cristo, Cientista, em Boston, EUA. 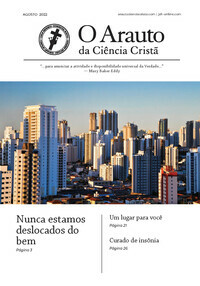 Seu propósito é “anunciar a atividade e disponibilidade universal da Verdade” (The First Church of Christ, Scientist, and Miscellany [A Primeira Igreja de Cristo, Cientista, e Vários Escritos], p. 353). Mary Baker Eddy, que estabeleceu O Arauto em 1903, é também a Descobridora e Fundadora da Ciência Cristã e autora de Ciência e Saúde com a Chave das Escrituras, livro que contém a exposição completa da Ciência Cristã. A Edição com referências do Livrete Trimestral da Ciência Cristã inclui o Texto Áureo, a Leitura Alternada e as citações da Bíblia e de Ciência e Saúde de todas as Lições Bíblicas durante um trimestre do ano (três meses).